The way I think about phrasing and playing in general, a lot of it comes from Ahmad Jamal. 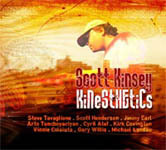 It has taken fifteen years, but keyboardist Scott Kinsey's eagerly awaited debut recording as leader, Kinesthetics (Abstract Logix, 2006) is out and receiving rave reviews. Kinsey made his name in Tribal Tech, one of the most important bands in the electro/jazz-fusion scene of the last twenty-five years. 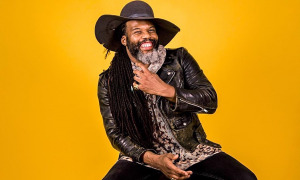 Joining Tribal Tech straight out of Berklee, Kinsey remained until the dissolution of the band, a decade and a handful of critically acclaimed albums later. 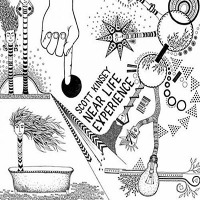 In the intervening years Scott Kinsey has successfully juggled a variety of musical projects, having contributed music to film soundtracks and produced albums for Philip Bailey and the great Austrian keyboard maestro Joe Zawinul. He has also toured and recorded with Kurt Rosenwinkel, Nicholas Payton, James Moody, Robben Ford, Joe Zawinul and Tim Hagans and, since 1994, with saxophonist/composer Bob Belden. Now Kinsey is taking centre stage with the release of Kinesthetics and is clearly reveling in the spotlight. From his L.A. home, Kinsey tells All About Jazz about the philosophy and processes behind Kinesthetics, and his ambition to expand his discography as a leader. He also heaps high praise on Souvik Dutta, of record label Abstract Logix, and pays heartfelt homage to piano legend and major source of inspiration, Ahmad Jamal. 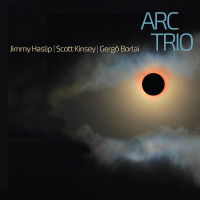 All About Jazz: Now that Kinesthetics is out, are you surprised that it has taken fifteen years to produce a record as leader? 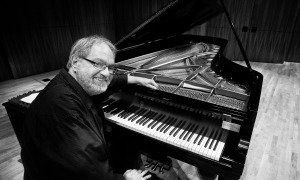 Scott Kinsey: Not really surprised as it just gets tougher and tougher to make creative music a reality, especially when it comes to the business. I was sort of waiting around for record companies for years and finally I just said forget it, I'll do it myself. So that's what I did, figuring that it was so overdue that it almost didn't matter how long it took anymore. I could just put it out when it was ready. 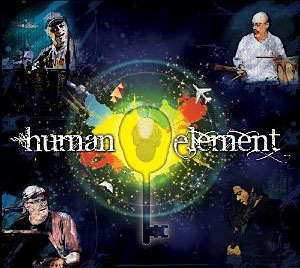 When the time was right [producers] Souvik Dutta [Abstract Logix] and Joe Zawinul [Birdjam] found me. It was perfect. AAJ: The album was cut in a remarkably fast two days. Was that your intention from the outset or were you surprised at how smoothly it went? SK: Well the current music that I've been playing around L.A. for the last two years was recorded in those two days. There were also a few tracks that I had started as long as fifteen years ago, but never finished. Sometimes those things were combined with new material or in a way remixed from what I had done years ago. I just didn't want to have made all that music and then not ever use it or for no-one to ever hear it. And there's really a lot more where that came from. This record is like the tip of the iceberg and it was tough narrowing it down to only this music. There was definitely enough for a box set. AAJ: How much music was already written going into the studio and how much was improvised? 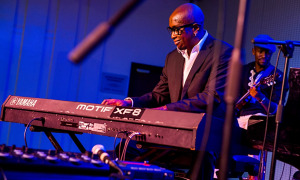 S.K: The tunes usually started as improvisations and then I would write them out and see what I needed to change or add. Joe Zawinul was an inspiration in this area. I read that he worked like this when I was a kid and it just stuck with me. Some songs can have elaborate forms and others can just be sketches. I like the more open idea more because it lets everybody do their thing and that way the music breathes and has more life. AAJ: How long did the mixing take? SK: I don't even know! Quite a while! The thing is I did everything myself, so that required some trial and error checking things on my system and others and then having to figure out why it did or didn't sound right. I also mastered it myself so that was a whole other learning curve, but I figured that's just what this record is. Danny Carey [Tool drummer] had me over; he has some serious mastering speakers so I got a pretty good idea where the problems were. There was really no budget so I just did everything in my studio, mostly with the things I already had. I'm more or less glad I did it like that. It was a good experience, but a lot of hard work. AAJ: You used three guitarists, four percussionists, six bass players and four drummers. The studio must have had a revolving door, why so many musicians? SK: Because a few tunes had been started years earlier, I knew it wasn't really going to be possible to make a band record. It's funny because I've always thought that "band records were better, but it just wasn't going to be possible with this one. Anyway, I didn't even have a set band in L.A. 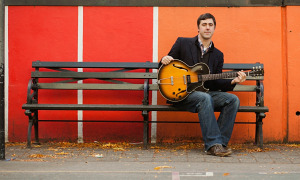 Sometimes [guitarist] Scott Henderson would play, other times [saxophonist] SteveTavaglione. Same with bassists, sometimes it's Jimmy Earl, but other times Jimmy Haslip or Armand Sabal-Lecco would do it too. So then I just decided it would be OK to have who ever seemed to be the right person for a particular song. 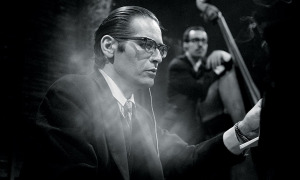 AAJ: On the title track, "Kinesthetics, where does the strange vocal come from? SK: It's my voice singing through a Korg Vocorder and a TC Voiceworks box. A little of both mixed together. The strange vocals on "The Combat Zone are from Cyril Atef, then in the second half the ensemble vocals are me again through the TC.